The Montreux Padded Sling Collection, named after the home of the jazz festival in Switzerland, transforms style and sturdy construction into a work of art. 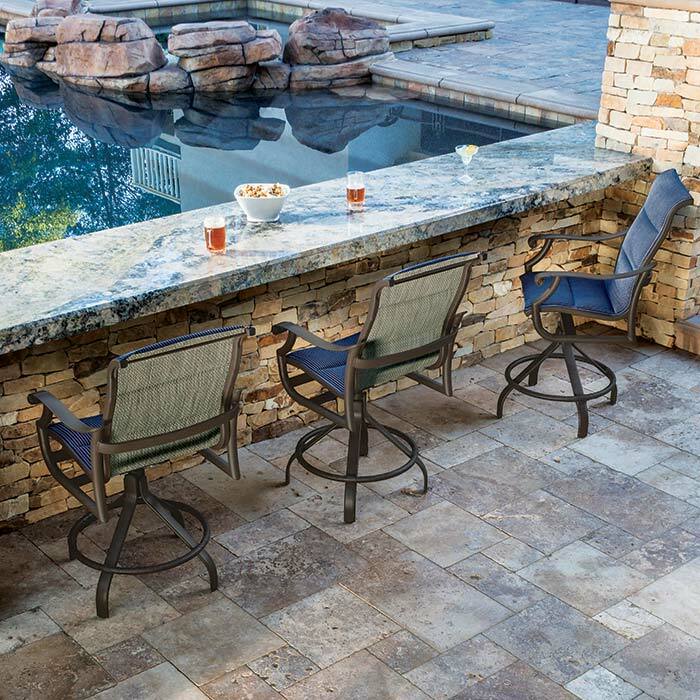 This outdoor patio furniture collection is a perfect interplay of extruded aluminum seamlessly blended with cast aluminum details and features sling-construction with an extra layer of fabric integrally sewn to the sling for added durability. Get the most from outdoor patio furniture by pairing Montreux Padded Sling pieces with coordinating outdoor Tropitone® Tables under a Basta Sole® Umbrella.